The South Downs National Park holds a special place in Mark’s heart. Although we both hail from Australia, Mark has family roots firmly planted in the south of England. His father grew up amongst its green rolling hills, his grandparents retired to its coastlines, and his aunt still calls the area home. In fact, some of his fondest memories feature the breathtaking hills of the South Downs. As a boy, he walked with his granddad child up to the ancient Trundle to admire the views over Chichester, and many an old family photo captured happy days spent exploring the woodlands and famous chalk coastline. He even enjoyed his very first icecream right here in the Downs! Since basing ourselves in London these last couple of years, we've spent more time around the downs than any other part in the UK. Our first British Christmas was spent by the fire in Emsworth, and we've gone for many a country ramble around the area. That said, we're the first to admit we really hadn't even scratched the surface of what to do here. 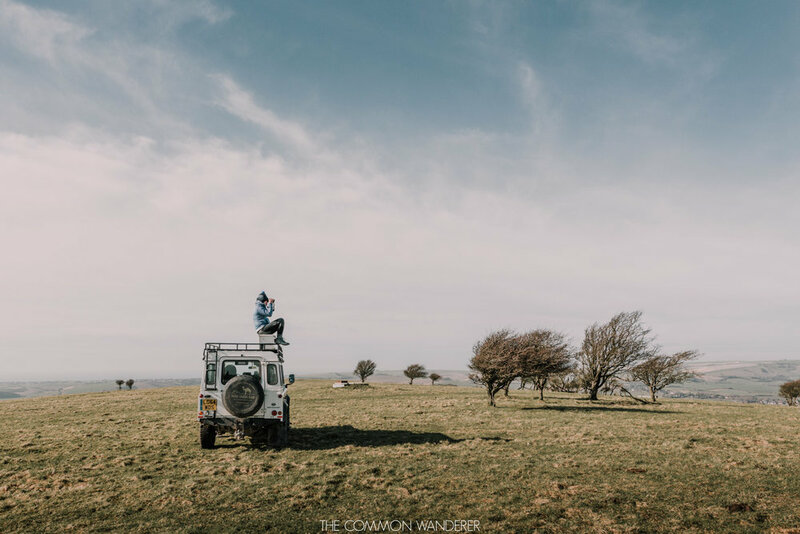 So when Columbia Sportswear reached out to us to see if we'd like to spend a few days exploring the South Downs with the National Parks Rangers, we jumped at the chance. Recently, Columbia and National Parks UK signed a first-of-its-kind 5-year deal that will see the brand outfitting the National Park Rangers who protect the UK’s most beautiful landscapes with the best gear to help them do that job. The money that the parks will save from here on will be reinvested into maintenance, conservation, and education - which we think is pretty dang awesome. As you guys know, we both feel most at home in the great outdoors - yet we're the first to admit that we hadn't often thought about the people who look after the hiking trails and national parks we love so dearly, keeping them in top health. The UK's National Park Rangers work day in, day out (often in miserable weather!) to protect the iconic landscapes of the UK; repairing hiking trails and protecting endangered communities, clearing fallen trees and providing a link between farmers, the park, and its visitors, and leading guided walks or education sessions for children. Columbia gear might be #testedtough, but the National Park rangers are of even tougher mettle! To be able to tag along with the passionate (and legendary!) park rangers as they went about their day was simply put, awesome. As we hiked through some of the park's most iconic regions, our ranger, Charlotte, pointed out the first birds of the season, shared little-known facts about the surrounding landscapes, and brought the area to life with tales of ancient history and local folklore. And as if that wasn't already epic enough, we spent the two days travelling in a National Park Landrover, the very car we dream of driving around the world in one day. We'd seen the Downs before, but never like this. It was the greatest adventure we've had so far in the UK. Seriously, if you're heading to the UK soon, we can't encourage you enough to spend a few days swapping the chaos of London for the peace and beauty of the South Downs. And to help get your southern adventures started, we've put together this little guide. Now, go get outside! The South Downs might be the UK's newest National Park on paper (it's only been fully protected since 2011), but don't let that fool you: thousands of years of natural and human history are folded into these gentle landscapes. Just a stone's throw from London, the South Downs National Park stretches from Winchester, the Saxon first capital of England, to the white chalk cliffs of Eastbourne that plunge into the English Channel below. The area has been inhabited by our ancestors since Neolithic times, and part of the park’s appeal is the way that culture and nature have thrived and grown alongside each other. With Neolithic flint mines and Bronze Age burial mounds, a tapestry of green pastures and ancient woodlands, calm meandering rivers and picturesque villages (complete with quaint English pubs! ), soaring vistas over wide river valleys, unique chalk grasslands and unique flora and fauna; it’s safe to say that the UK’s most popular national park is diverse, beautiful, and offers something different for every visitor. Just a few miles north of Chichester lies 'The Trundle'; the remains of an Iron Age hill fort atop St Roche's hill. All that remains of the fort now is the circular earthwork (although recent scans of the hills using new LiDAR technology has begun to uncover fascinating stories about early settlement in the Stone and Bronze ages), but that hasn't made the site any less impressive - the views over Chichester Harbour, Portsmouth's Spinnaker Tower and, on a clear day, the Isle of Wight are seriously epic. Head up to the Trundle just before daybreak (be sure to factor in the walk to the top! ), and watch as the rising sun bathes the coastal plains and grazing fields below with gold and pink. For botanists and flower lovers alike, visiting the Trundle in Spring can be a lovely time to visit, when many a beautiful plant begins to flower, including early purple orchids and cowslips. You'll spot the town of Arundel from your train or car window long before you've arrived, thanks to the impressive medieval Arundel Castle that rises imposingly above the River Arun. Founded in 1067 by Roger de Montgomery, one of William the Conqueror’s most loyal followers, the castle was restored to its current glory in the 19th century, and now serves as the ancestral seat (and current home!) of the 18th Duke of Norfolk. Today, you can explore the impressive castle, watch a castle siege enactment, or stroll through the tranquil themed gardens which come alive with plant fairs during summer too. With the river Arun through the middle, the town itself is about as quaint and picture-perfect as an English town gets - which is probably why it was voted Europe's most relaxing weekend break in 2017. With historic roots as a bustling market town, today Arundel’s Georgian and Victorian streets are lined with quaint pubs, independent boutiques and antique shops. Be sure to bring your camera along to capture all this fairytale town in all its glory! Arundel Castle opening hours | 10:00am - 17:00pm Tuesday - Sunday. The Devil's Dyke was by far our favourite spot in the Downs, a stunning steep valley and Bronze Age fortification with views out over the countryside below. Local legend has it that the valley was formed when the Devil attempted to dig a trench and flood the Weald with the sea, drowning the local Christians. His plan was thwarted, but his trench remains. You can hike down through the valley, which also happens to make up part of the South Downs Way hiking trail. It’s also the local adventure spot, with plenty of opportunities to paraglide over the picturesque countryside from the top of the Dyke too. If you’re not too keen on embracing your inner daredevil today, you can relax on the terrace of the Devil’s Dyke pub and take it all in instead! Kingley Vale is known for its ancient grove of twisted, sweeping yew trees, some of which are the oldest living things in the UK. Many of the trees here are estimated to be 500 years old, others 1000, and all are so mysterious-looking you half expect to see a fairy or a meeting of witches around every corner. The grove of trees is slightly tucked away, on chalky grassland at the base of Stoke Down and Bow Hill - but it's definitely worth every bit of trickiness getting there. About twenty 'veteran' trees twist about each other here, their roots writhing over each other like knobbly hands rising from the ground below. It's hard not to feel a sense of awe as you wander the huge trunks, especially with their magnificent branches spread out above like a light-dappled roof. The area is popular with the local bird population, including red kites, buzzards, grasshopper warblers, and green woodpeckers. Visiting on a foggy or dim afternoon isn't for the faint-hearted though; local legend has it that the ghosts of defeated Viking kings roam the vale in the half-light and the rich red tree trunks seem to glisten with their blood! A steep walk up from the vale to the ridgeway above will bring you (out of breath and with burning calves!) to the Devil's Hump, four Bronze Age burial barrows built 3,500 years ago that are said to align with the setting sun on Midsummer's Day. It's an incredible reminder of just how much human history these plains have seen. If you really want to experience the diversity of the South Downs national park (or you’re just looking for a fun new challenge! ), the South Downs Way is an adventure you definitely don’t want to skip! This 100 mile (160km) off-road National Trail picks it way through the entire length of the South Downs, following the same chalk ridgelines and valleys that humans have travelled along for thousands of years. As you travel from Winchester, the first capital of England, to the iconic white chalk cliffs of Eastbourne, you'll enjoy stunning views of the Downs' gentle rolling hills and valleys, discover its unique wildlife and habitats, and delve into the ancient cultural history of the area, from medieval towns and churches to Bronze Age burial mounds and quaint English villages too. Of course, in typical English style, a cosy pub is never far away either - perfect for relaxing after a hard day's hiking! 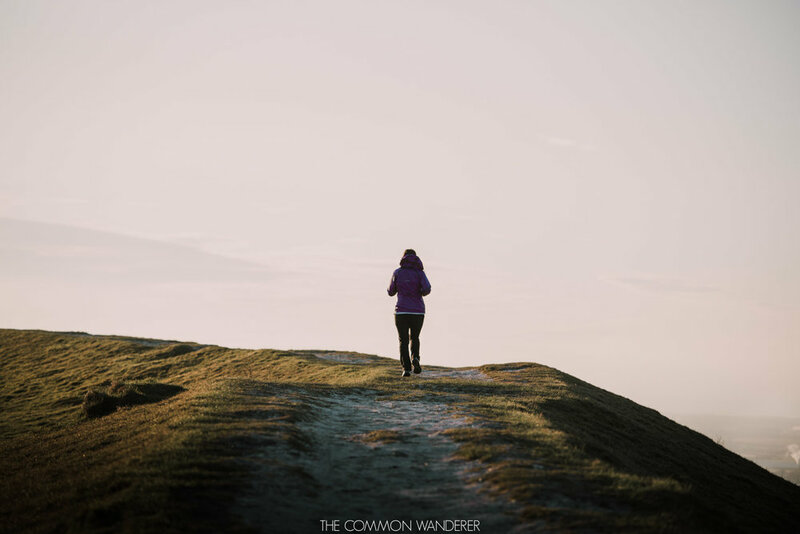 The South Downs Way can be completed by foot, bike, or horseback, and you can also pick up parts of the trail where you'd like if you're keen to opt for a shorter hike. The full trail will take roughly 7-10 days on foot, and 2-4 days for those on bikes or horseback. Accessibility | The South Downs way is an off-road trail, and can be accessed on foot, bike, or horseback. Route | Starts in Winchester and ends in Eastbourne (or vice versa). See this map for more information. One of our absolute favourite things to do when we're travelling - particularly in rural or remote areas - is to find a quiet spot to lie down in and watch the skies twinkle at night. There's just something awesome about being able to see the universe do it's thing right before your eyes, and ponder our own existence (is this just us?!). You can imagine how thrilled we were to discover that despite its proximity to London, the dark skies over the South Downs have recently been designated as an International Dark Sky Reserve. This status celebrates and protects the areas skies, which means that you'll always be able to see the stars here! Some of the best views can be found from the heights of Devil's Dyke, the Birling Gap, and Butser Hill. If you want to take your stargazing to the next level, head to the annual Dark Skies festival, which includes talks, meeting some of the local nocturnal wildlife, and stargazing time spent with the Hampshire Astronomical Group and the South Downs Planetarium. There's almost no English sight more iconic than the white chalk cliffs of Eastbourne and the Seven Sisters National Park (and, of course, the white cliffs of Dover). Formed about 80 million years ago - when Great Britain was still under the sea! - these white cliffs with their lush grass top have been shaped by the hands of time, blustery sea winds, and erosion ever since. Named for the mythical original Seven Sisters, the Pleiades daughters of the Titan Atlas, the undulating cliffs are spectacular to see. This is one spot where you don't want to get too close to the edge though; the cliff edges are extremely fragile, making unexpected collapses a frequent event. Stay well back and admire them from afar! We stayed in Arundel at the Norfolk Arms Hotel, a former Georgian coaching inn completed in 1780. The rooms are grand, the dining room full of history, and it's perfectly located right next to the Arundel Castle too! For an incredible camping experience, look no further than the Housedean Farm Campsite. Set on a working farm, the campsite is also conveniently located directly on the South Downs Way, making it a relaxed, beautiful spot to wile away the evenings around the campfire with your new hiking friends! You can get to the South Downs easily via the following airports: London Heathrow, London Gatwick, Shoreham (Brighton), and Southampton Airport. Check Skyscanner for the cheapest deals from your city now! The beauty of the UK is that the train network can get you basically anywhere you need to go, no matter where you currently are. Because of this, the train is by far the easiest, and quickest, way to get from London to the South Downs. Regular trains depart from London Waterloo and London Victoria, and it only takes around 60-90 minutes to get to Winchester and Lewes (both gateway towns). Alternatively, you can jump off the train in the heart of the park and hike from there, or get out at Arundel and spend some time exploring this quaint English town. Check National Rail for times and fares. You can also hire a car (we've just become big fans of ZipCar!) to get to the Downs, which can also be useful when in the national park itself. Is the South Downs on your wish list? Have you already been? Share your stories (and tips!) in the comments below! discover more of the UK with these posts too! 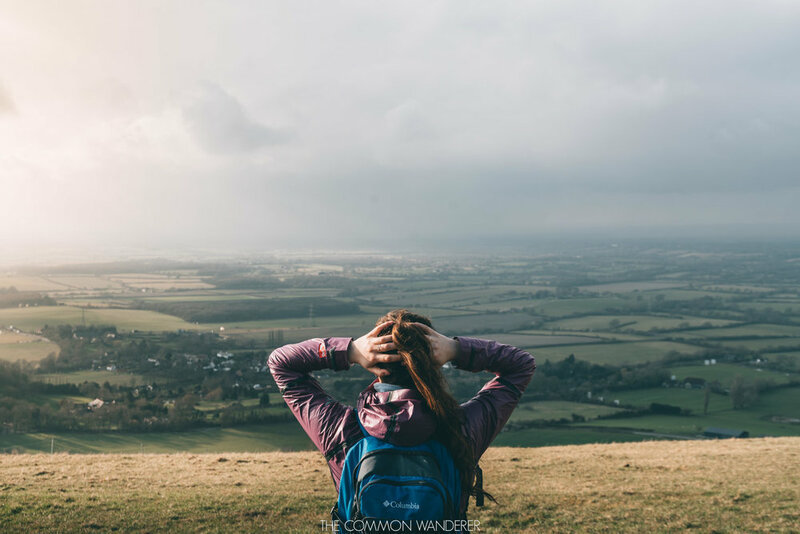 This post was sponsored by Columbia Sportswear, National Parks UK, and the South Downs National Park - but as always, all opinions are very much our own.